Vetrofen Pet is a carefully formulated supplement containing a completely natural antioxidant blend that targets comfort and recovery. 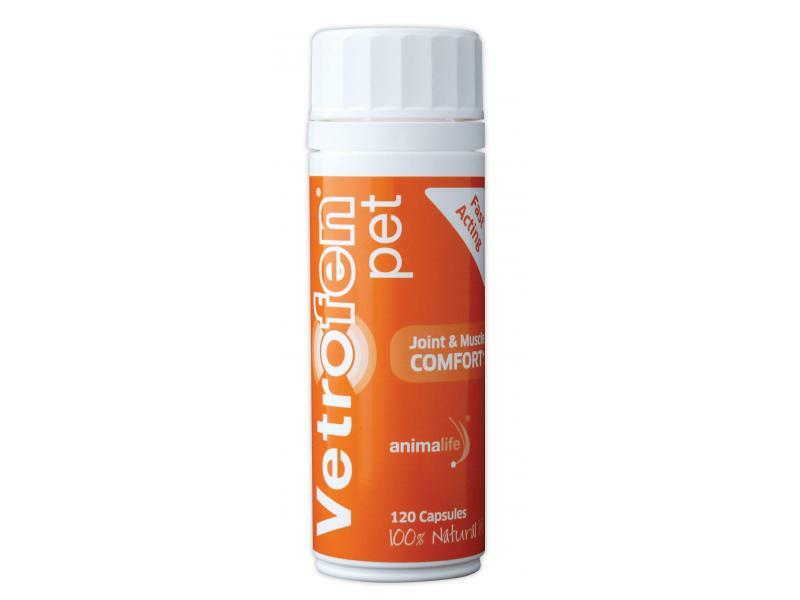 Vetrofen Pet has been scientifically formulated to help dogs and cats when they require support in dealing with the natural ageing process and recovery during everyday life. Vetrofen Pet is safe to use on all dogs and cats and does not contain NSAIDs or Devil’s Claw. Vetrofen Pet contains an all-natural proprietary blend of Scutellaria Baicalensis and Acacia Catechu, formulated with the unique Specially Optimised Bioavailable Formula (SOBF) technology to ensure optimal absorption of the ingredients. Vetrofen does not contain NSAIDs or Devil’s Claw. Use table as a guide. For best results, use a double daily serve for up to 7 days and then follow with normal daily serve. Where practical, it is best to split servings between morning and evening feeds; Mix into feed well. In the field professionals and Veterinarians have found that dogs and cats feel an effect within 4 - 5 days, while others may feel an effect in 5 – 10 days longer. For fast results, or for those in need, use a loading serve of Vetrofen Pet for up to 10 days, or until a response is seen, followed by a maintenance serving. There are currently no questions for Animalife Vetrofen Pet Joint Supplement - be the first to ask one!